Once again I’ve teamed up with Fran from Funschooling and Recreational Learning for another e-book! 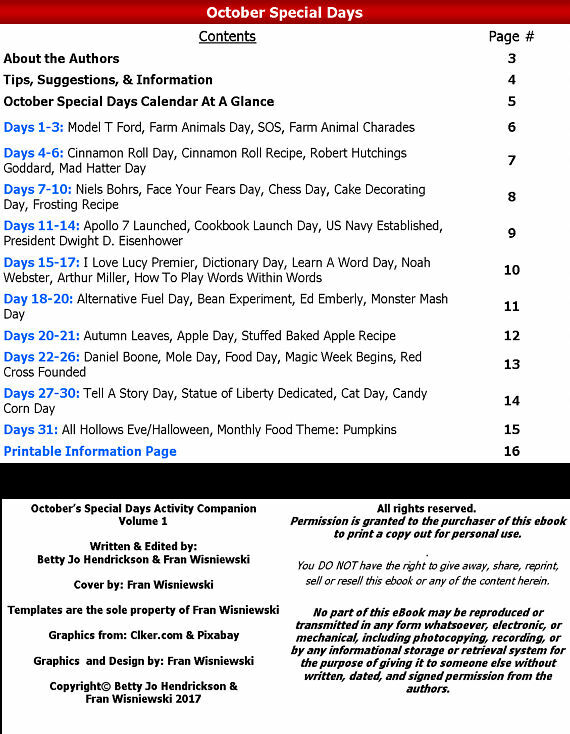 This one has activities for everyday throughout the month of October! 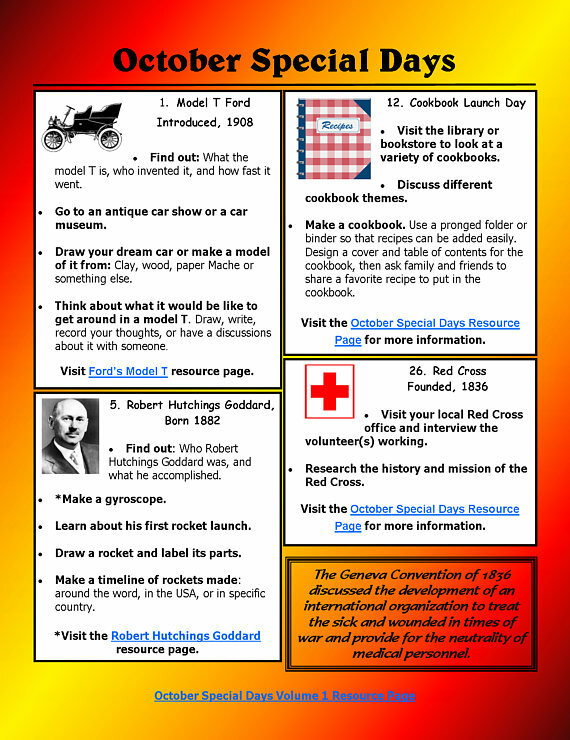 Families, homeschoolers, classrooms, after school program teachers, and club leaders are going to love these fun (and educational) calendar activities. Offers 120+ easy to use ideas/activities and includes some delicious recipes. Is 16 pages long and printer friendly. Offers safe external resource pages for extended information, research, and learning! 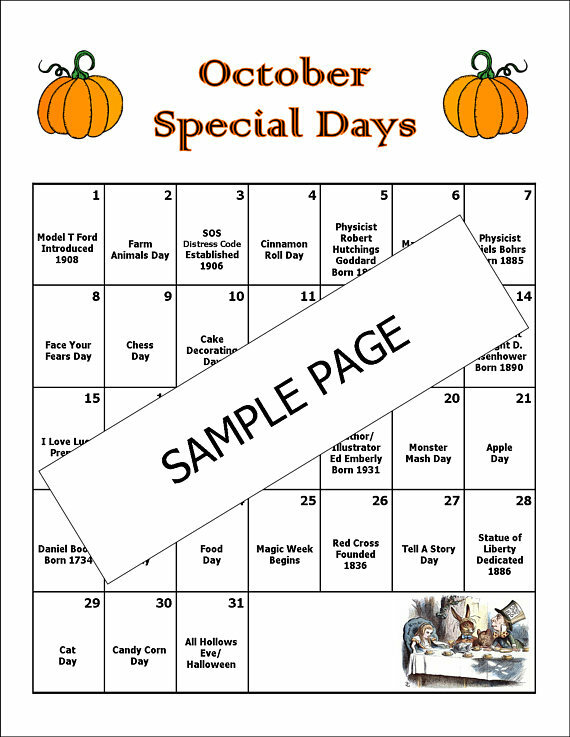 Get your copy of October’s Special Days Activity Companion at Learning Tangent Homeschool Magazine’s Shop! Still Learning Something New: Monsters! PBS: Videos – What Do Animals Eat? 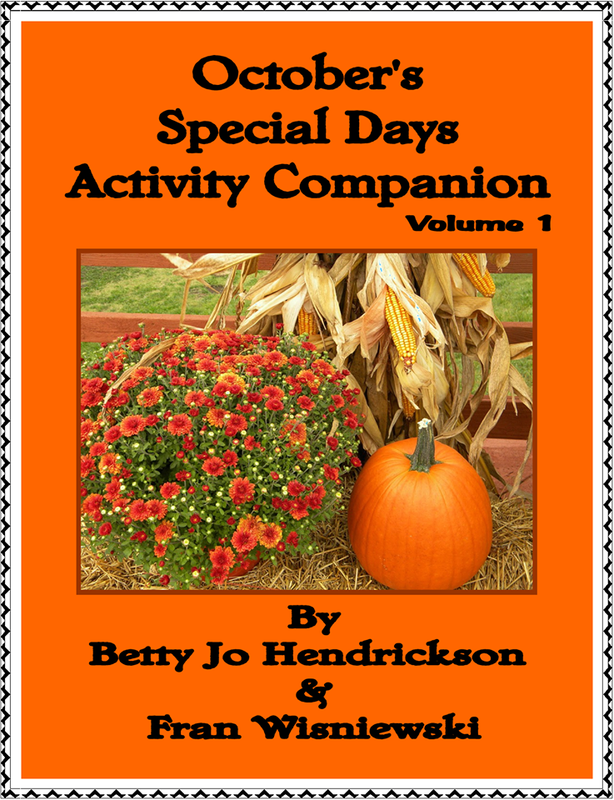 This entry was posted in Calendar, Special Days and tagged E-Book, October, special days, teaching resources on August 17, 2017 by Betty Jo.